COLUMBUS — If you like to hit the trails on the weekends or commute to work by bike, you may already know that your regular bicycle is recognized as a vehicle under the law and that you must follow certain laws to operate it. But if your bicycle has a motor, you may be surprised to discover that state legislatures have only begun to tackle how to differentiate and define electric bicycles — or e-bikes — and regulate their operation and equipment standards. The primary challenge is in identifying the distinction between e-bikes and other motorized vehicles, such as scooters and mopeds. Until recently, Ohio was one of only 20 states without e-bike regulation. In November 2018, Ohio passed House Bill 250 to establish requirements for using electric bicycles. Ohio’s new law went into effect March 8 and explicitly excludes e-bikes from the definition of motor vehicles, motorized bicycles and mopeds. Under the law, all bicycles, including e-bikes, are defined as vehicles subject to regulation for both equipment and operation. E-bikes resemble traditional bicycles in both appearance and operation. They are not scooters or mopeds, nor do they function in a similar manner. 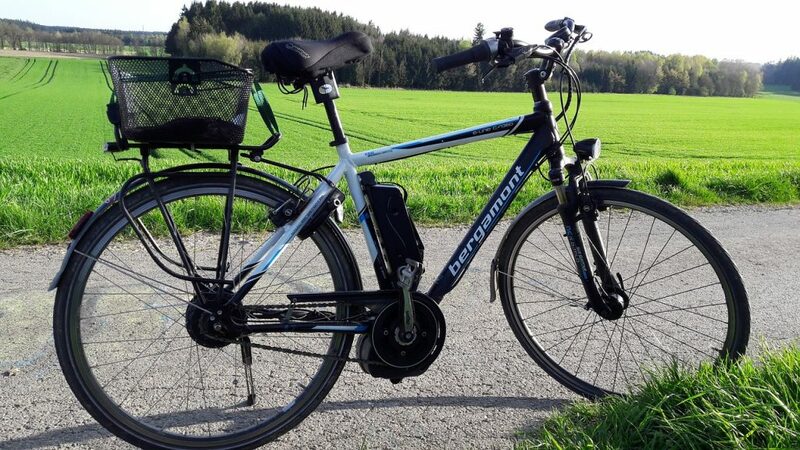 E-bikes are equipped with a battery-powered motor that provides assistance. When you push the pedals, a small motor engages, providing the rider with a boost. In addition to this pedal-assist feature, some e-bikes come with a throttle that engages the motor with the press of a button. Cyclists can ride more often and farther on an e-bike than on a traditional bicycle. E-bikes may provide a new recreation option for people who want to bike and, in general, extend the range of any ride. Three e-bike classifications have been established by the bicycle industry to describe and clarify e-bikes’ capabilities and support the enactment of appropriate legislation and regulations regarding their equipment and usage. – Class 1: A bicycle that is equipped with fully operable pedals and an electric motor of less than 750 watts that provides assistance only when the rider is pedaling and ceases to provide assistance when the bicycle reaches the speed of 20 miles per hour. – Class 2: A bicycle that is equipped with fully operable pedals and an electric motor of less than 750 watts that may provide assistance regardless of whether the rider is pedaling and is not capable of providing assistance when the bicycle reaches the speed of 20 miles per hour. – Class 3: A bicycle that is equipped with fully operable pedals and an electric motor of less than 750 watts that provides assistance only when the rider is pedaling and ceases to provide assistance when the bicycle reaches the speed of 28 miles per hour. The classification of your e-bike is the determining factor in what equipment is required, who may operate the e-bike and where it may be ridden. When it comes to required safety equipment, e-bike owners must comply with the same laws that govern bicycles. Bicycles and e-bikes of all classifications must have operable brakes and a front-mounted white light, as well as a rear-facing flashing or steady red light or red reflector. Class 3 e-bikes have one additional requirement: A Class 3 e-bike must be equipped with a speedometer that displays its speed in miles per hour. You do not need a special license to own or operate an e-bike in Ohio. If you are able to ride a bicycle and understand the laws that apply to its operation, you are permitted to ride a Class 1 or Class 2 e-bike. However, because Class 3 e-bikes can reach a top speed of 28 miles per hour, Class 3 e-bike operators are required to be at least 16 years of age and wear a protective helmet. Provided you comply with all traffic laws, you can ride your e-bike on any street, roadway or highway in Ohio. You may not ride on a freeway or limited-access highway. Ohio has a great network of bicycle-only and shared-use paths and the classification of your e-bike determines which paths you can ride. Class 1 and Class 2 e-bikes are permitted on bicycle-only and shared-use paths. Because Class 3 e-bikes are faster, the new law prohibits operating them on any bicycle-only or shared-use paths unless those paths are within or adjacent to a highway. The law does allow local authorities to permit the use of Class 3 e-bikes on bicycle-only and shared-use paths that are not adjacent to highways. When looking to purchase an e-bike, consider where and how you want to ride before making your purchase. If you want to extend your miles on roads and highways or are looking to commute to work, a Class 3 e-bike may be the best choice, but be aware that you may not be able to ride on your local bicycle path. If you want the freedom to ride on both bicycle paths and roadways, then a Class 1 or Class 2 e-bike may be exactly what you should buy.